S. S. Rajamouli is one of the blockbuster directors of South Indian cinema. He has given some blockbuster South Indian movies which have broken many records by becoming extremely successful world-widely. 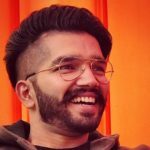 One such example is the Indian epic historical fiction film Baahubali (2015) and Baahubali 2 (2017). 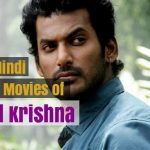 Many of his films have been dubbed or remade in Hindi. 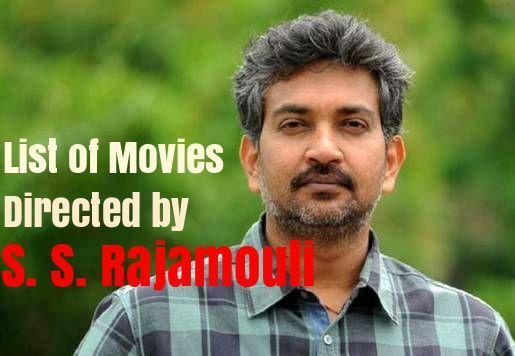 Here is the list of movies directed by S. S. Rajamouli. Student No.1 (2001) is a Telugu coming of age musical film directed by debutant director of Tollywood S.S. Rajamouli. The film stars Jr NTR and Gajala. This film turned out to be a hit for both the actor and the director as well. The film was dubbed in Hindi as ‘Aaj Ka Mujrim’. Plot: A youth rescues a woman from a molester but kills the offender in the process. While serving a life sentence he gets permission to study law and takes on some unruly college mates. Simhadri (2003) is a Telugu action film directed by S. S. Rajamouli. The film stars Jr. NTR, Ankitha, and Bhoomika Chawla in lead roles with Mukesh Rishi, Nassar, and Rahul Dev portraying supporting roles. The film was successful at the box-office. Plot: Simhadri, an orphan, is raised by a rich family. 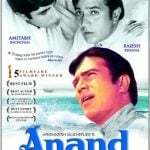 When the youngest granddaughter of the family falls in love with him, he refuses the proposal as he cannot part ways with Indu, a mentally ill girl. 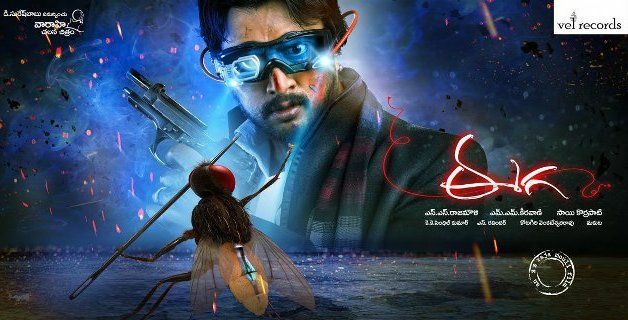 Sye (2004) is a Telugu action sports drama film directed by S.S. Rajamouli. The film features Nithiin, Genelia D’Souza, Shashank and Pradeep Rawat. It was dubbed into Hindi as ‘Aar Paar-The Judgement Day’. The movie was a superhit. Plot: Pruthvi and Sashank, leaders of two rival student groups, decide to join hands to defeat a mafia leader. They must beat his team in a rugby match to win back their wrongfully obtained college ground. Chatrapathi (2005) is a Telugu action drama film written and directed by S. S. Rajamouli. Prabhas plays the lead role and Arti Agarwal, Shriya Saran, Bhanupriya, and Pradeep Rawat appear in other roles. The film was a super hit and dubbed into Hindi as ‘Hukumat Ki Jung’. Plot: When Parvati’s family is forced to leave a village on the Sri Lankan coast, she gets separated from her son Shiva. He fights against various odds including his evil step-brother to meet his mother. Vikramarkudu (2006) is a Telugu action film directed by S. S. Rajamouli, starring Ravi Teja, Anushka Shetty and Vineet Kumar in the lead roles. The film was a hit and later remade in Hindi as ‘Rowdy Rathore’. Yamadonga (2007) is a Telugu fantasy-action comedy film directed by S.S. Rajamouli. The film stars Mohan Babu, Jr. NTR, Priyamani and Mamta Mohandas in the lead roles. Upon release, the film was a critical and box office success. It was also dubbed into Hindi as ‘Lok Parlok’. Plot: Azhagappan falls in love with Ramba while she is visiting Earth. Now he often visits heaven and has met various deities. One day, the death of a child moves him and he decides to teach Yama a lesson. Magadheera (2009) is an Indian Telugu-language romantic-action film directed by S. S. Rajamouli. The film stars Ram Charan and Kajal Aggarwal, while Dev Gill and Srihari appear in prominent roles. It was declared as the highest grosser film in the history of Telugu cinema. Plot: Harsha is falsely implicated for killing Indu’s father and she too is kidnapped. But Harsha and Indu share a bond from a previous life, and when he realises this, he sets out to set things straight. Maryada Ramanna (2010) is a Telugu action comedy film directed by S. S. Rajamouli, starring Sunil and Saloni Aswani in lead roles. It was among the top grosser of that year and also remade in Hindi as ‘Son of Sardar’. Plot: With the hope of beginning anew, a man returns to his village to sell a piece of land he owns. On the way he falls in love with a girl, only to find out later that her parents are looking to kill him.